The remarkable thing about railways is their extensive reach across the globe. Man's engineering skills and sheer determination and effort to build them were pioneering and the first step in connecting the world on a global scale - centuries before the World Wide Web. These railways, many of which are narrow gauge and weave through what must have been hostile, and seemingly inaccessible landscapes, are now 'must do' rail holiday journeys for those seeking incredible, scenic views, a taste of foreign culture and history and who simply enjoy the nostalgia of travelling by train. One such country which is now emerging as a popular tourist destination is Burma, thanks to its easing political climate. 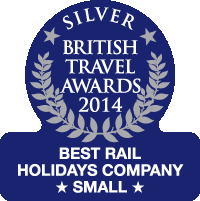 It is good news for us as a rail tour operator because this fascinating, yet still hidden country, boasts some wonderful two foot and metre gauge railways. Ffestiniog Travel is very fortunate to have the services of railway aficionado Michael Whitehouse as a tour leader who has travelled extensively around Burma (Myanmar) and has worked with us to create our first escorted rail tour to this beautiful South East Asian country. Burma Adventure is a 20-day tour departing in January 2016, exploring a country described by George Orwell as ‘a land like no other’ and includes journeys on steam charters, the Mines Railway and visits to many historic sites. Michael is a seasoned traveller and keen photographer when not doing his day job as a lawyer and has made over a dozen trips to Myanmar, having been to all the destinations on the Burma Adventure tour except Golden Rock and both of the local tour guides are personal friends. He has visited the Burma Mines Railway no less than six times. He shares his experience and offers tips on travelling to Burma in this in-depth Burma Blog. There will be very little which surprises him on this tour and he will know the best places to take pictures, the sights to see and enquire about. His background knowledge of Myanmar from its historical, political and geographical aspects makes him the ideal tour leader. Following a stopover in Singapore this rail holiday begins in Mandalay before taking the 'Burma Road' to the Burma Mines Railway for three days of private charters that will appeal to rail enthusiasts. 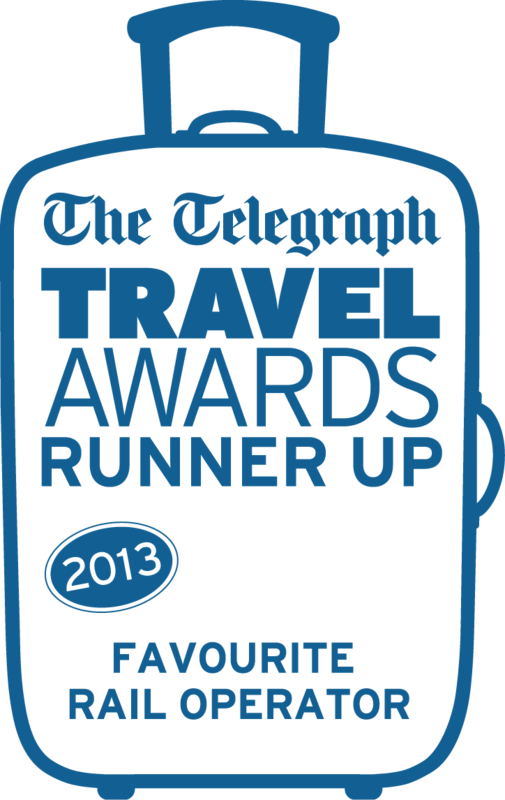 Those who prefer culture rather than trains can stay at the peaceful Hsipaw Resort and enjoy guided sightseeing trips. For a visual taste of what you can expect when visiting the Mines Railway, click here for a great film to watch; courtesy of YouTube. 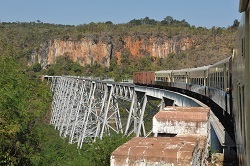 Our Myanmar rail journey would not be complete without travelling over the famous Gokteik viaduct. To sense the drama of crossing this 100 year-old feat of engineering, here are some images taken by a traveller on her journey along this fascinating rail route. The tour, priced from £5,995pp, includes two short flights to ensure you see as much of the country as possible, together with four chartered train journeys from Bagan to Kyaukpadang, Heho to Bago (overnight journey), Bago to Kyaikhtiyo and Kyaikhtiyo to Yangon. The Man in Seat 61 provides a definitive guide to travelling by train in Burma including images and accounts from previous travellers. Along the way sightseeing highlights will include the Ananda Temple at Bagan, the Thazi Junction Depot, Golden Rock Temple, the famous Shwedagon pagoda at Yangon and Aung Sang Sui Kyi's childhood home. 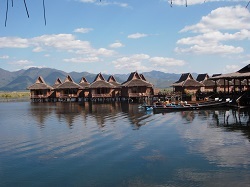 We even travel by canoe to our hotel at Inle Lake and stay at the Golden Rock Hotel. Travel photographer Stephen Studd says Myanmar is one of the best places he's photographed in years and has produced a video for Rough Guides to illustrate how photogenic Burma is. 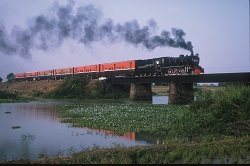 As a rail tour operator our tour of Burma not only offers an insight into the country's landscape and culture but also its railway heritage, led by a knowledgeable tour leader that would be hard to find anywhere else. To discuss details of this exciting tour in more depth please do not hesitate to contact us on 01766 772030 or email questions to info@ffestiniogtravel.co.uk.